We understand everyone has different driving habits - that's why you can service your Mazda according to how much you drive, due every 10,000km (15,000km for BT-50 vehicles) and not longer than 12 months. 1. Base Scheduled Maintenance is due every 10,000km (15,000km for BT-50 vehicles), but no longer than 12 months, whichever comes first. Looking after your Mazda is only half the story. 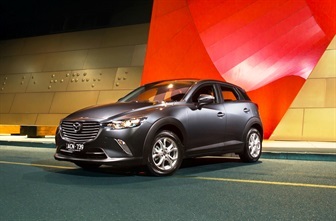 We know that you are happiest when you are on the road with your Mazda, so keeping you there is our priority. At Mackay Mazda we want your service experience to be as easy and convenient as possible. From the friendly reminder of your next visit, to the survey that follows, Mackay Mazda takes the worry out of servicing your Mazda. Mackay Mazda has comfortable facilities, factory trained staff, Genuine Mazda Parts on hand and a national network to call on. Together these factors will keep that Mazda Zoom-Zoom feeling and get you back on the road quickly.